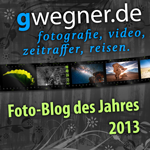 Last night I set up my camera (Canon 6D) to be controlled by qDslrDashboard using my Windows 10 PC. The two were connected by a USB cable. I started imaging at sunset (5:35pm) and continued for two hours. By then the sky was very dark since the sun was about 26 degrees below the horizon. I was surprised to see that about 1/3 of the images were overexposed... like a daylight shot with stars! 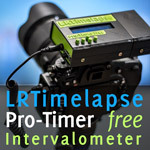 I took the 650+ images into LRTimelapse to review how the ramping looked. and found what is shown in the attached screenshot. I thought I had activated the auto NTC but obviously, that did not work. I did not see any error messages. I am wondering what is happening here. The program works fine until about civil twilight (sun below 6 degrees) and then starts to overcompensate for the darkening skies. I think just using the AV mode in my Canon would have yielded a better result at least up until civil twilight. Of course, the problem with AV mode is that it won't work well when the sky gets dark and qDslrDashboard does provide a platform to manually adjust the exposure as the sky darkens. Is that what must be done when using a PC with qDslrDashboard (i.e., manually adjust the exposure when the sky becomes dark)? If so it would be useful to see the trend shown in the attachment while monitoring the exposures. Is there a way of doing that in qDslrDashboard? For me it's sometimes hard to see, if NTC works or not. For example there is no feedback on which GPS position it locked - so for example, if you travelled, your device still have the old coordinates and on the new location the device cannot aquire gps, it will still work with the old coordinates, where the times might be totally off. Another thing that might happen is, that you didn't adjust the clock of the smart device. Then of course the times will be off. If your device doesn't have GPS (you said you were using a PC which normaly doesn't have GPS) NTC will also not work. If you don't use NTC (and also if) there is always the old way to change the reference value with the +/- buttons next to "Set Reference" - lower values will make the images become darker over time and vice versa. If you are next to the device, you should monitor the histogram from time to time and adjust the reference as needed. To avoid doing this manually, we introduced the GPS based Auto-NTC - but see my comments above. Maybe Zoltan can chime in here and has an idea what might have happened. My feature request for qDslrDashboard is to have a way to see, if and which GPS position has been acquired, best with a database of the next town (not only coordinates which would be hard to evaluate). And I would like to be able to set a position, if no GPS is available. I did contact Zoltan about the lack of a way to enter the lat/long values when using a PC. Recently I have had better luck with the timelapse+View in "auto" mode for the night transition. For the following time-lapse I started the camera about 5 minutes before sunset and ran it for 2 hours and 33 minutes, so I had about an hour of night skies. 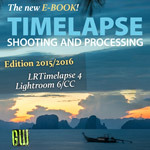 Attached are some screenshots from LRTimelapse showing when civil, nautical and astronomical twilight periods ended. All of the adjustments (about 18 stops in all) were made without any intervention from me.